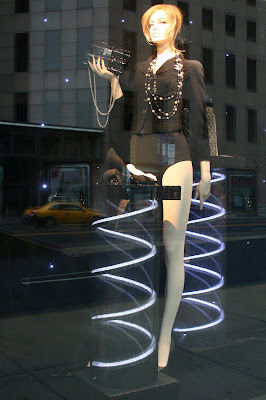 Fun Photos -Happy New Year's Eve 2011! Please join me in congratulating Lauren as she is sworn in for her appointment to the President's Committee for People with Intellectual Disabilities on Tuesday, January 3rd, 2012, at 10 a.m. at the Mayor's Office at Riverside City Hall. We are SO proud of our girl! Can't wait for Tuesday. Huge congrats to you, Lauren Potter! All signs point to you continuing to be an excellent, vocal and highly visible advocate and spokesperson for those with special needs. Great way to begin 2012. Cause for celebration, and progress. Photo of Lauren Potter with Blair Williamson courtesy of Gail Williamson. 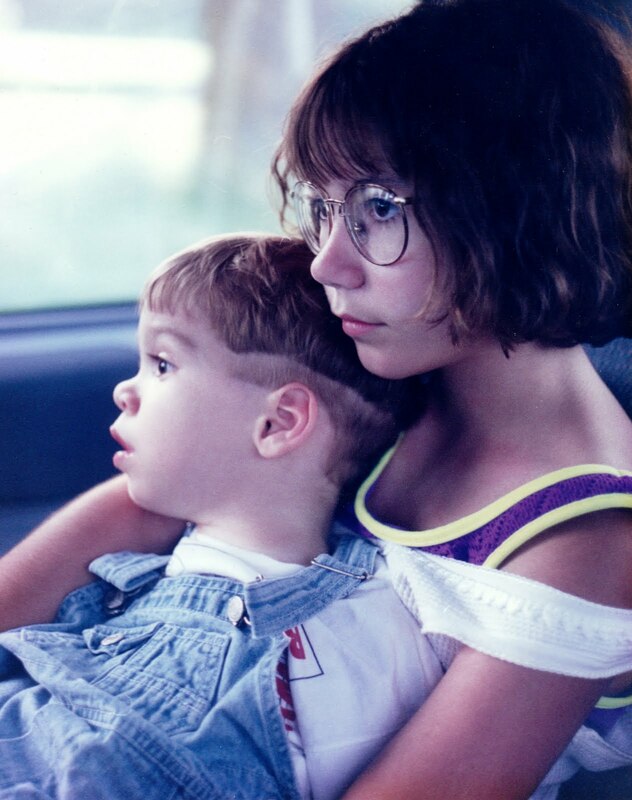 Another unearthed print treasure of Jenna and Eric, and one of my favorite photos of them ever. Worth a thousand words, plus. There are several informative and entertaining special needs parenting blogs being written today by moms and dads who are walking this often dicey walk. One of my new favs is flappiness is: Navigating the World of Early Childhood Autism with One Special Little Boy by Leigh Merryday, the parent of two young children under age six, including one with autism. 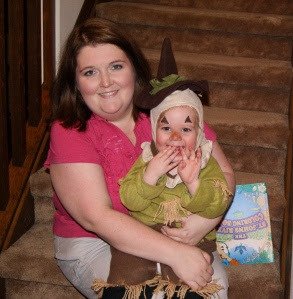 Can you imagine this mom's daily challenges? I recently featured her blog post An Apology From Your Child's Former Teacher, a post which has generated lots of reaction, pro and con. Merryday's words are especially helpful for those parents of kids challenged by autism. 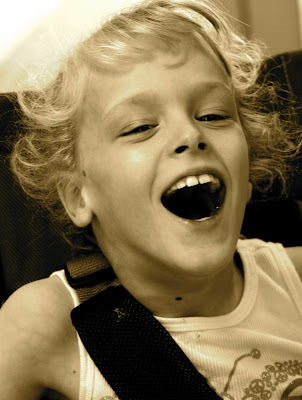 But I find this mom's insightful, honest and humorous posts worth the read by all who care about children with special needs, and by those trying to better understand its big challenges and many rewards. Merryday doesn't sugarcoat her daily reality and she's not afraid to tackle controversy, which I believe helps her better educate others. And that, helps create needed change. Kudos to you, Leigh Merryday. Photo courtesy of Leigh Merryday. Used with permission. Thirty-four-year-old, Rynita McGuire, was born with Arthrogryposis Multiplex Congenita, a rare condition that results in multiple fixed joints throughout the body and significantly limits physical movement. 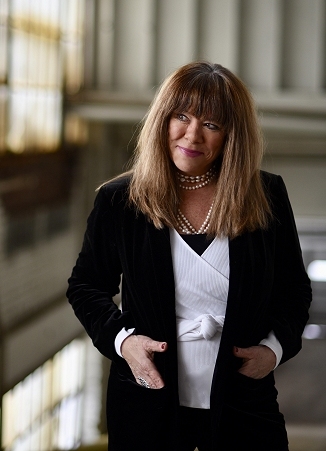 But that reality hasn't stopped her from living life full out, including getting a college degree from Western Michigan University, painting in a college studio, and becoming a DJ. Read an article focused on McGuire can do, here. 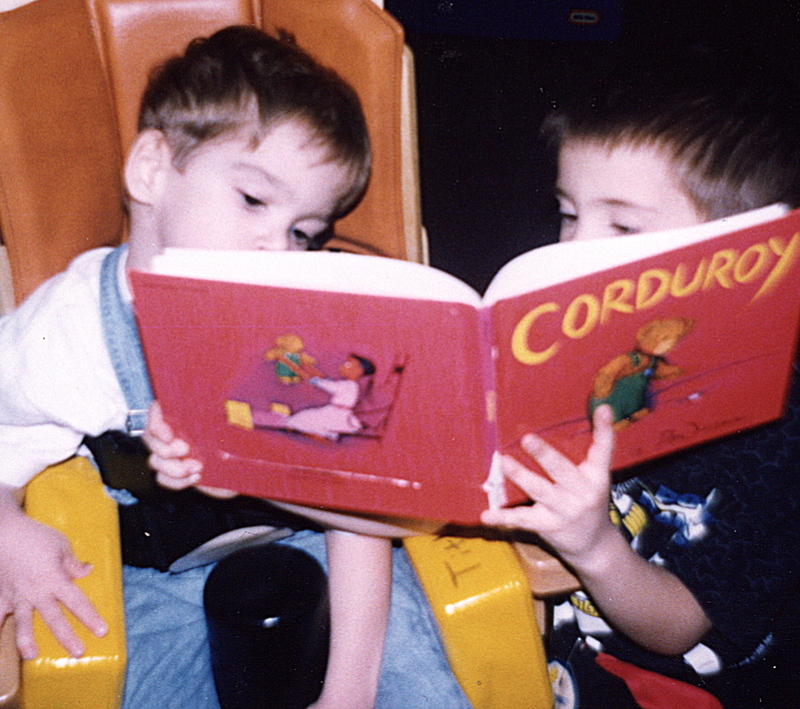 Another priceless scanned memory of my babies. Sophie is a loving therapy dog who lost back function after she fell off a truck. Like many humans with such injuries, Sophie now gets around using a set of wheels. This determined dog makes a difference in many lives, including at RicStar's Camp each summer, where she is a big draw and an inspiration. Remarkably resilient and loving, and a life worth living. Make better good choices for those with special needs. This annual guide helps you do just that. Reminder: My tips for Creating Holiday Magic for Kids with Special Needs can be found here. If you prefer, you can watch me deliver them on video here. Huffington Post science reporter, Cara Santa Maria, helps shine a light on an important and often-hushed subject, depression. Watch it here. Two minutes plus of valuable awareness. Zach Anner is back in action on the Oprah Winfrey Network (OWN) tonight with back-to-back episodes of Rollin with Zach, including Chicago travels. Find out more here. Jack made me work like a dog for this shot; pun intended. Something about how I promised I'd never dress him up, especially at Christmas. I lied. He does look good in red, doesn't he? My son's life was lived out before digital. So, while I'm thankful I took lots of photos to document his far-too-short short life, I've only recently felt healed enough to begin scanning priceless memories. The result has been unearthed treasures, especially of Eric and his terrific big sister, Jenna. David Finch wrote a New York Times essay, Somewhere Inside, a Path to Empathy, that included his take on being an married adult with Asperger syndrome. 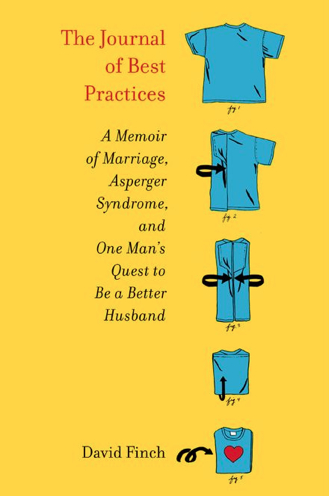 His words became the basis for his new book, The Journal of Best Practices: A Memoir of Marriage, Asperger Syndrome and One Man's Quest to be a Better Husband. Finch was first diagnosed with higher-functioning autism five years after he got hitched to Kristen, a speech therapist. The book chronicles how the diagnosis has impacted their marriage and his life. I think this is only the beginning of such stories about new adult diagnosis. Wonder how many relationships and marriages Finch's words might save, and how many adults will see themselves in his diagnosis. Probably more than one woman will be saying to herself about her husband, "Okay. Now I get it." Read more about Finch and his work here. Love shooting unexpected holiday photos, especially urban shots, like this one in Chicago. I love this, a lot. That's why I keep repeating it. "Best Buddies is a nonprofit organization... that creates opportunities for one-to-one friendships, integrated employment and leadership development for people with intellectual and developmental disabilities (IDD)." Find out how you can get involved in this terrific organization and mission, here. True inclusion happens peer to peer. Photo courtesy of Best Buddies. 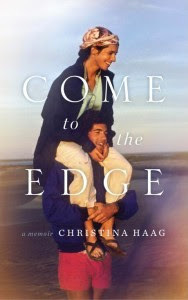 Since many people buy books for holiday gifts, here's a repeat of my recent post of a fav read of mine this year: Come to the Edge by Christina Haag, which also has a brand new book cover. My guess is the new publishing choice of John John on the cover of the now bestseller is sure to sell more copies, and I understand why. Most of us have read books that leave us wanting more when we've turned the last page. 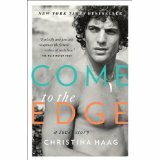 'Come to the Edge' by Christina Haag is such a book. Throughout its pages, the actress skillfully chronicles her life, which includes a passionate five-year love affair with John F. Kennedy, Jr., and a diagnosis of breast cancer at age forty four. I agree with some reviewers that have taken the author to task for jumping around a bit too much, making it challenging at times to follow the storyline. But the writing is stellar and Haag offers the curious a fascinating, always respectful glimpse into the Kennedy's privileged world without turning tabloid. She captures 'John John's' unending, contagious and sometimes dangerous zest for life, and the excruciating pain of her own great loss. The result is a beautiful, haunting and tragic love story, and a great read. One only the author could tell. Read more about the Haag here. At 4 p.m., the darkness thinks it's winning. But I just turned on more pretty lights and cranked up the carols. Advantage, me. I'm all about the glass half full. That's how I've survived. One of our fav RicStar Campers and Buddy Up volunteers, the very talented and charming Kierin Kerbawy. 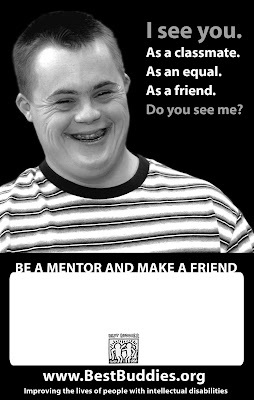 The 2011 grad of East Lansing High School, who has been active in Michigan theatre, was featured in a 2011 Michigan campaign/billboard with the Lion's Drew Stanton that helps creates greater awareness of those with Down syndrome. We are so proud of you, Kierin. Photo of Kierin with Chuck Colby of the terrific musical group Three Men and a Tenor by Judy Winter 2011. Three Men and a Tenor was a recipient of a 2011 RicStar Award. Sharing an oldy, but goody. Eric in his Christmas sweater at a school party with his terrific big sister. 'Tis the season for remembering that my son loved Christmas. The holidays aren't the same without you, buddy. Actor Colin Farrell's seven-year-old son, James, has Angelman syndrome, a rare neuro-developmental disorder that severely impacts global developmental delays and speech. On behalf of his son, Farrell has become an effective and outspoken activist for the disability. Check out the Foundation for Angelman Syndrome Therapeutics (FAST) with its resource video, and hear about Angelman in Colin Farrell's own words here. You can also find out more about Speak Out efforts to raise greater awareness about a disorder that impacts 1 in 15,000 lives births. Kudos to Colin Farrell for sharing his own story to help his son and the cause. Another responsible use of celebrity. I love posting this kind of information to remind you than when it comes to the challenges of special needs parenting and demands of parental advocacy, you are never alone. Disability can happen to anyone at anytime, even celebs. Remembering Eric's Death and Honoring His Life. My candle is burning and I am remembering and honoring my beloved son, Eric. Thank you Compassionate Friends, for creating this wonderfully simple and healing tradition. It's Here- 2011 Compassionate Friends Worldwide Candle Lighting Tonight at 7 p.m. The Compassionate Friends Annual Worldwide Candle Lighting honors and remembers children who have died. This year's event will be held tonight at 7 p.m. local time. Please share this post with those you believe could benefit from the healing act of remembering a child who has died. For more information on this organization that supports bereaved parents, and about this beautiful holiday tradition born in 1997, click here. As always, my candle remembering my son, Eric, will be burning brightly, too. Please bear with me. Sometimes I just need to add my voice to things other than special needs. I admit I found it painful and a bit disturbing to watch the very public and very emotional meltdown of the popular, talented and young, Rachel Crow, after she was eliminated from The X Factor last night. When judge, Nicole Scherzinger, refused to make a choice on who to send home, the decision was left to the contestant receiving the lowest number of seasonal votes from viewers (Rachel), which when announced, sent the young girl to the floor sobbing. As people rushed the stage to her aid, including her mother. Scherzinger was loudly booed by the crowd. The reality is that the singer is on the show to be a judge with all the responsibility that entails (including voting people off) and she should have cast her vote. In trying to avoid being the heavy, she has become just that, right or wrong, and sent Crow into a tailspin. Unbelievable pressure for one so young. Reminder, Paula Abdul, who quickly went to the aid of Schertzer and Crow, did a similar thing earlier in the season. Drama is always good for ratings. The young charmer and American sweetheart, Crow, has since taken to the media to ask the public to stop blaming Schertziner for her elimination. Read the People magazine article here. Class in a small package. I'm sure Simon Cowell will ensure that we haven't heard the last of Rachel Crow. The question is, will he allow Nicole Scherzinger back for another season? I hope so. I like her. But she should vote. Stay tuned. That's my Reality TV rant for now. Now back to more important matters. Of all the inspiring special needs stories that I have heard or told during the past twenty years, and there have been many, few have touched me as much as the life story of Richard Prangley. Prangley was wrongly institutionalized as a child and labeled a 'low-level imbecile' and 'unable to learn' by professionals. What Richard experienced after being committed by his family at age six to the former Coldwater State Home in Michigan is both horrific and inexcusable. But what this man has done since being freed from that setting at age 21, including becoming a passionate lobbyist for the developmentally disabled at high levels, is nothing short of remarkable, and a real tribute to the power of the human spirit to triumph over the toughest life circumstances. Richard's story was first skillfully and honestly captured in 1998 by popular Lansing State Journal (LSJ) columnist, John Schneider, in the book 'Waiting for Home: the Richard Prangley Story.' The two men have remained close friends since the day they first met in the LSJ newsroom more than thirty years ago. You can view the two-part feature of Richard's remarkable live story on YouTube, here. Thanks to Elizabeth Kelly of the PBS program, 'A Wider World,' for doing an outstanding job translating a fascinating and complex life story for television. I'm blessed and honored to call Richard Prangley, John Schneider and Elizabeth Kelly my friends. I'm thrilled to have been part of the effort to bring this inspiring story to the PBS program 'A Wider World,' and happy to share it with you on this blog. Richard Prangley is one of the finest human beings I've ever met, and he has much to teach us all about the power of forgiveness and true faith. 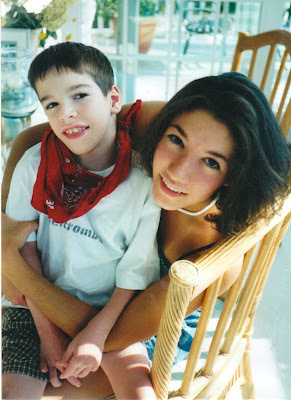 I suggest you share his story with everyone you know, and refer to it when you need a boost in your own daily life, especially when challenged by the daily realities of special needs. Photo: Richard Prangley, Judy Winter and Elizabeth Kelly at RicStar's Camp 2010, where Richard received the 'RicStar' Award for Outstanding Special Needs Advocacy. Every so often, I do an interview in my own backyard, as I did recently. Here's the video if you'd like to watch me in action, and here's the link to RicStar's Camp, too. LCC did a great job, and I didn't even have to pack or face a body scanner. I'm passionate about what I do, and I love sharing that passion. Special Olympic athletes tell what the organization has meant to them. Watch In Their Own Words here. How did we spread the word without video and social networking? Photo courtesy of Special Olympics. Used with permission. Now, this is the kind of holiday card that steals my heart. The Christopher and Dana Reeve Foundation is a marvelous organization. Today, CRF honors its founder's legacies so beautifully, while changing lives in dramatic ways. Please consider them in your end-of-year giving, too. I do. Photo courtesy of the Christopher and Dana Reeve Foundation. I just love this post shared on a friend's Facebook page this morning and had to pass it on. 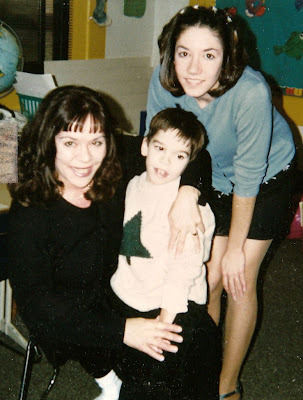 Interestingly enough, I've gotten more than one e-mail from teachers and counselors who are now parents of kids with special needs who confirm that they, too, had little clue as to how tough this parenting gig really was. Fortunately, Eric had more good teachers/team members than not. But it was never easy. My heart and thanks also go out to all those outstanding professionals who do care deeply about our children, but lack the resources, proper training and funding to meet such challenging special needs educational goals. We have a long way to go before no child is truly left behind.We can and must do better for all concerned. Putting kids in classrooms without the proper preparation, resources, staff and training is not inclusion. It's a recipe for educational failure. Unfortunately, too often parents must then remain ever vigilant working to ensure that their children's educational/legal needs and rights are being met. This creates additional and unfair stress on the family units that are often already struggling under the weight of their parenting responsibilities, including financial. Could you do it? There has to a better way for all involved, especially the children. One of the greatest gifts of this mother's post is the rapid-fire discussion it has generated from all sides. People are talking, and that is always a good thing. Read An Apology From Your Child's Teacher here. I have to go discover more about the mom/blogger who wrote this terrific piece. Amazing how quickly the sting comes back, even after all these years. Given the last post, seems like the perfect time to repost this. If you haven't already done so, consider checking out the NORM campaign I've blogged about in the past. Worth the time. Dec. 5th thru Dec. 9th is the 11th Annual Inclusive Schools Week. You can download an activities/resource guide for schools, classrooms and families here. 'Great things happen in inclusive schools,' and elsewhere in our communities. Those of you who helped Zach Anner get his own show on the Oprah Winfrey Network (OWN) will be happy to hear that the premiere of Rollin with Zach airs next Monday, December 12th, at 8 p.m. ET. It includes Zach surfing. I can't wait to watch Zach in action again. (Here's my original post. announcing he'd won the competition). 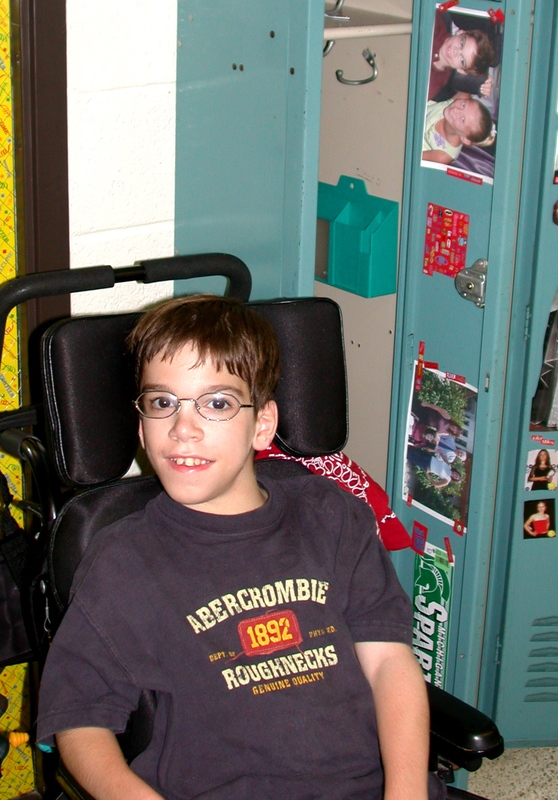 Zach has cerebral palsy and uses a wheelchair to get around. Watch the trailer for Zach's new show featuring travels in Los Angeles here. Check out his presence on the Christopher and Dana Reeve Foundation website, too. One funny dude, focused on ability. 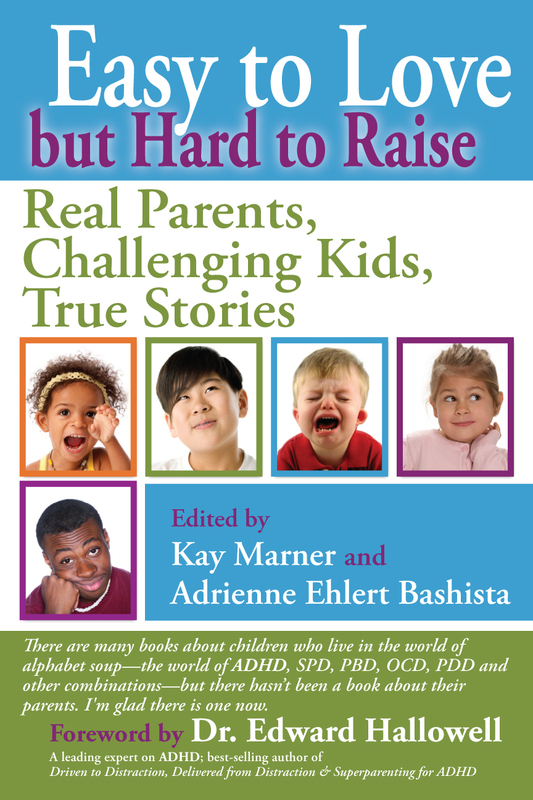 I'm pleased to be included as one of the 'Q/A Expert Voices' in the new book Easy to Love, but Hard to Raise by Kay Marner and Adrienne Ehlert Bashista. 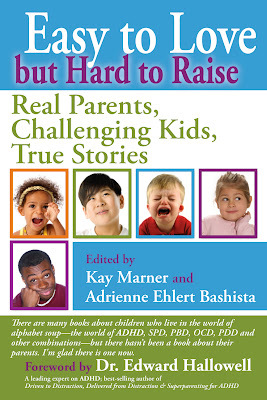 The book is an anthology of parental essays about what it's like to raise children with a wide range of challenging behavioral diagnoses, including ADD, ADHD, OCD and many others. The book will be widely available on Feb. 12th, but it's currently available for direct purchase on the publisher's website (DRT Press) for 30 percent off the cover price until Jan. 20th. If you're interested in getting an advanced copy, click here. 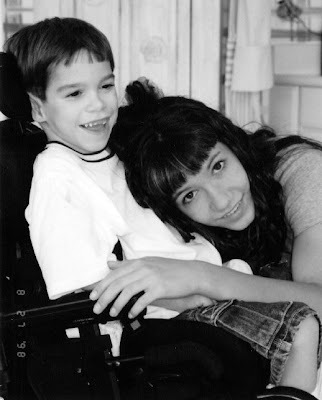 In addition to Easy to Love, and my own book, Breakthrough Parenting for Children with Special Needs, my words also appear in the books A Special Kind of Love: For Those Who Love Children with Special Needs, and Enabled in Words: The Real Lives, Real Victories of People with Disabilties. Image courtesy of DRT Press. Used with permission. 85 percent of kids with disabilities have been bullied? We need to remember them, too, in our discussions on this timely topic. Raise your voices. Source: The American Association of People with Disabilities (AAPD). UPDATE 12-5-11: As promised, here's an updated link to that terrific video about kids with special needs/ bullying that I hyped a few posts ago. Thanks, Laura Schwartz of AAPD for posting the new link under comments on my original post. Love this campaign. So happy to reshare. Thanks for making it, AAPD. LOVE, LOVE, LOVE this PSA about bullying and kids with special needs from the American Association of People with Disabilities (AAPD), a terrific resource which, according to its website, promotes equal opportunity, economic recovery, independent living and political participation for people with disabilities. Too often we discuss bullying without mentioning how many kids with disabilities face this inexcusable behavior on a daily basis. Speak up, loudly, and then pass this on. Warning: shameless plug. All for the cause. 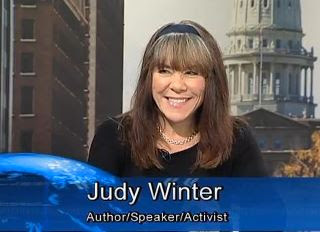 You can check out an interview I did in my own backyard two weeks ago that's now on YouTube regarding my book and RicStar's Camp. More valuable awareness for special needs. Speaking of shameless promotion, Breakthrough Parenting makes a great Christmas gift for families challenged by special needs. I don't care about royalties; I care about changing children's lives. You can also view a good promotional spot by MSU regarding the 2011 RicStar's Camp that captures the joy of the camp well. Plus, the end-of-camp Showcase is also there for viewing in three parts. Watch all the music magic here.